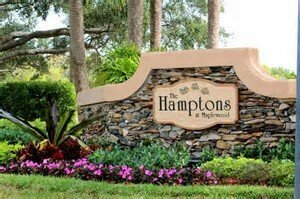 If you are looking for a tranquil neighborhood that would be perfect for your family, The Hamptons at Maplewood should be on your list. It is one of the three communities in Maplewood built by Divosta. Homes offer an open floor plan with 3 bedrooms and 2 baths and over 1,900 square feet of living space. The community is abundant with trees, has sidewalks for family walks and bike rides and sits among four lakes. Being in the heart of Jupiter makes this community one of the most convenient places to live. Hamptons at Maplewood is zoned for A rated schools.